Fresh from the Sea! 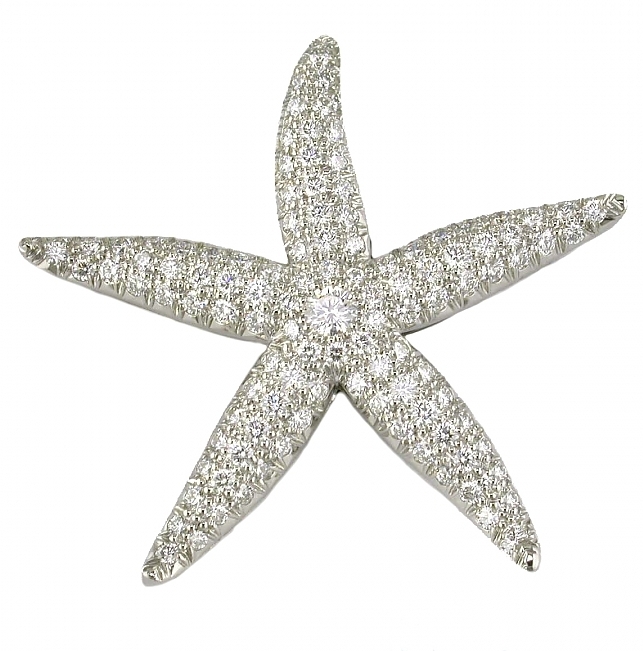 This sparkling platinum and diamond pave starfish sports a center diamond. Altogether 2.19 diamond carats in this gorgeously natural rendition!